Medline Remedy with Olivamine Foaming Body Cleanser provides a head-to-toe application, 4-in-1 body cleanser, which cleanses and moisturizes the skin. 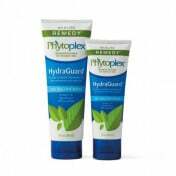 It also provides mild protection against transepidermal water loss (TEWL) and nourishes the skin in one step. The Body Cleanser is ready-to-use out of the box, with no additional steps or preparation required. Every bottle comes with the foaming pump. The no-rinse cleanser foam stays in-place to prevent spills, waste, and discomfort for the patient. 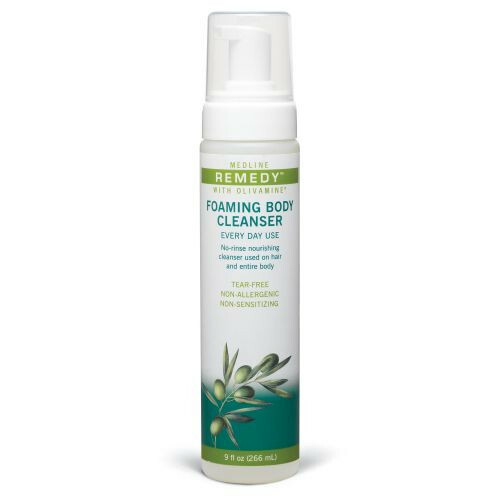 The foaming cleanser provides for an easier clean than a liquid, and it provides greater convenience for caregivers. This body cleanser makes for a more convenient way to clean a patient than the use of soap and water. It is great for use in hospitals and clinics. 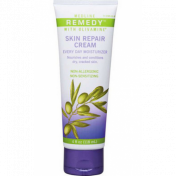 Remedy Olivamine Foaming Body Cleanser also can help to reduce odor. It is a tear-free, non-allergenic, non-sensitizing foam that is designed for everyday use. It is latex free, and has a natural citrus and vanilla scent. 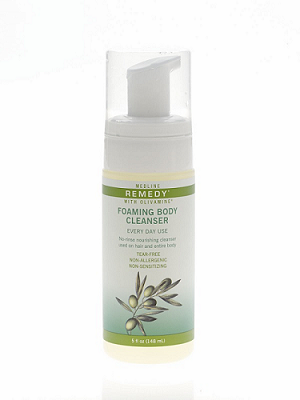 This Foaming Body Cleanser is available in a case of 12, or sold individually. Available in 5 oz or 9 oz bottles (148 ml or 266 ml respectively). Item number: MSC094105, MSC094105H, MSC094109, MSC094109.